It's about delegates count. The primary, caucus elections are all about that. 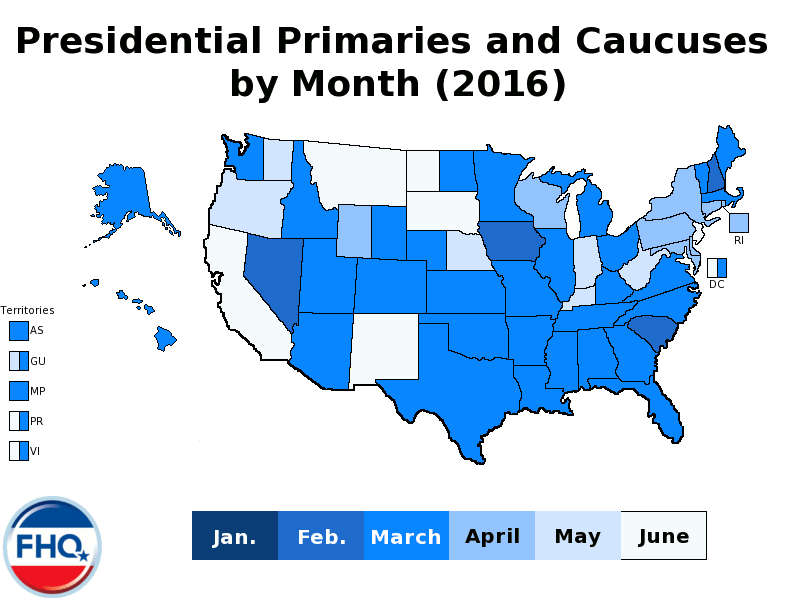 Super Tuesday gets all the attention because of the states where candidates compete have the largest number of delegates that Presidential candidates can win, in order to get the party nomination. Next Tuesday, March 1, it's an important milestone for the candidates because they're competing in a dozen of states and a territory. Winning these states would not only give them the largest number of delegates but also a measure of electability for the general election in November. On the Democratic side, Hillary Clinton or Bernie Sanders need to win 2,383 delegates to get the Party nomination. There is a total 4,189 delegates available. A total 1,034 delegates up for grabs from the Super Tuesday states. "What to watch for the Democrats: Gov. Terry McAuliffe is a long-time ally of the Clintons, and Robby Mook, her campaign manager, also ran his successful campaign here. That, plus the state's proximity to Washington's establishment Democrats, give Hillary Clinton an advantage. Fun fact: African Americans made up 30% of the 2008 Democratic primary electorate." What will be interesting is this: Virginia has diverse population. Northern Virginia is the home of 68% of foreign-born residents and account for 23% of the region's population. The Richmond Times Dispatch, has a write-up about how the Virginia primaries will be a measure of how Virginia has changed. Let's see how Asian voters will vote next week. We'll be watching. More about Super Tuesday, here.